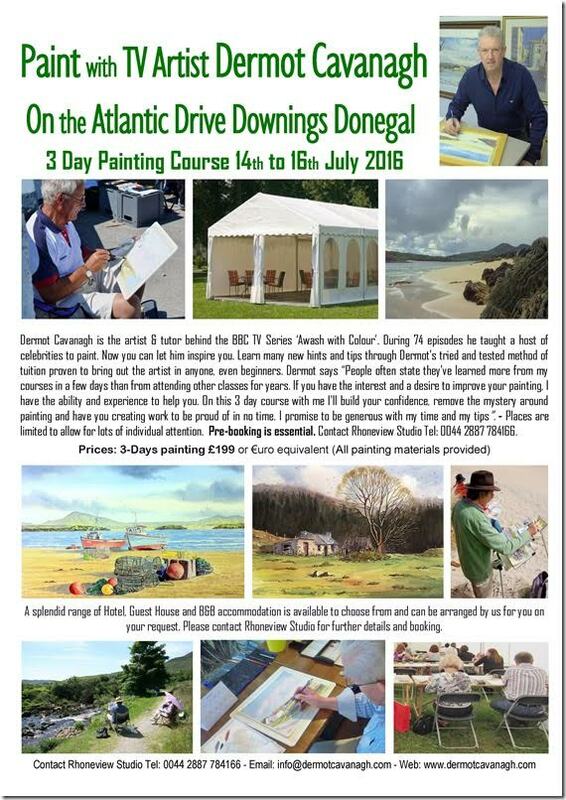 BBC TV Artist Dermot Cavanagh says he can bring out the artist in anyone and to prove it he’s holding a 3 day watercolour workshop on the Atlantic Drive Downings Co. Donegal from 14th to 16th July 2016. Dermot Cavanagh is the artist and broadcaster behind the BBC series ‘Awash with Colour’. During 74 episodes of his hit art travelogue Dermot informed and inspired millions of TV viewers at home and abroad as he taught a host of celebrities to paint. 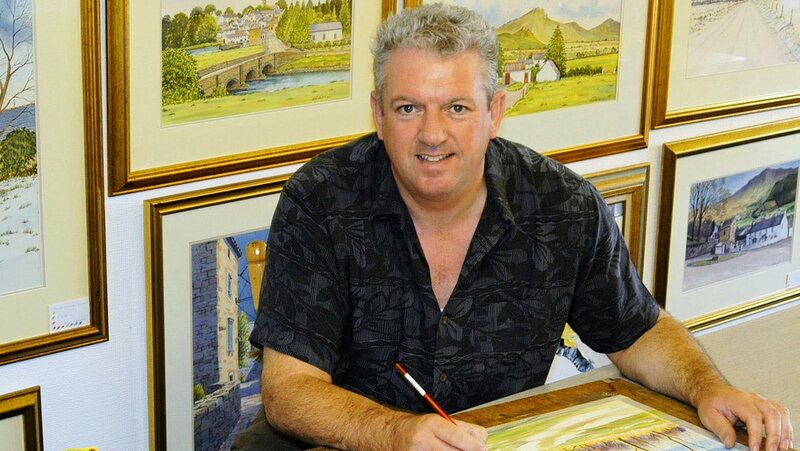 Pauline McLynn, Packie Bonner, Barry McGuigan, Gloria Hunniford, Suzanne Dando and John Craven to name but a few all took up the paintbrush and joined Dermot on his watercolour exploration of Ireland. Now Dermot has carefully structured a 3 day art workshop so as to improve painters of all levels of artistic ability, including beginners. He will cover a range of watercolour techniques and exercises that will greatly develop the skills of any enthusiasts. His sessions will be hands-on with each guest creating a step-by-step watercolour to be proud of from the initial sketch to the finishing touches. Dermot Cavanagh is a master tutor, patient and generous with his tips. And can bring out the artist in anyone; People often say that they’ve learned more from Dermot’s courses in a few days than from attending other classes for years. 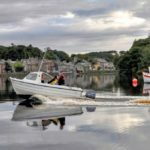 So why not join him on The Atlantic Drive Downings and let him bring out the artist in you. 3 Day Workshop including all materials: Price £199.00 or €235.00. Pre-booking is essential. Painting days are 10.00 am to 4.30 pm. All painting materials are provided so there is no need to bring anything. Places are strictly limited to allow for lots of individual instruction. Bookings can be made securely over the phone using Credit or Debit Cards.